Coinzilla Crypto Advertising Network 2nd b-day gift: The Update is live! If you happen to be in the crypto & finance market, you know by now how important a strong advertising campaign is. Looking at how competitive the market is nowadays, a start-up has to have a flawless marketing campaign to get their product to the right audience and ensure revenue as quickly as possible. This can only be achieved through qualitative traffic and precise ad targeting. Coinzilla does just that. By providing high-quality advertising services and tools, it successfully boosts the exposure and notoriety of an ICO project. The platform quickly spreads the popularity of a project by offering visitors only high-quality floating and standard IAB banners which were specially designed to stand out and guarantee a high CTR. Recently, Coinzilla has developed new updates for its platform to improve its efficiency further and guarantee the best results for its customers. The new features which have been implemented are device and country targeting, budget limiting, unique user delivery, SEPA & SWIFT monetary transfer, added security, and API developments. 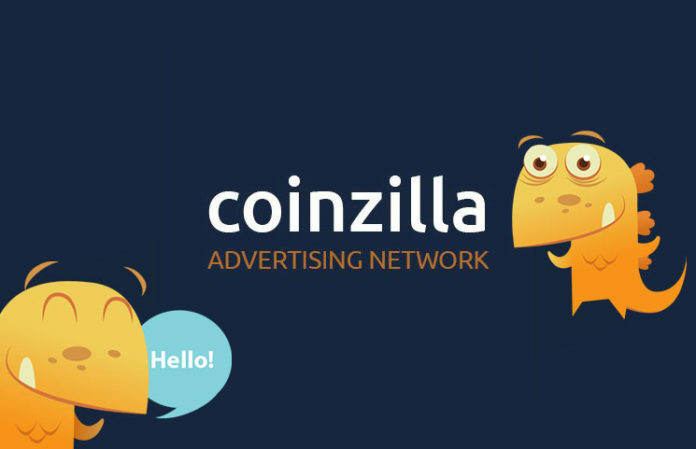 The Coinzilla advertising network was launched two years ago, and it successfully made its way up among the top 3 advertising networks in the crypto industry. Their platform has a very intuitive structure, which enables advertisers to promote their projects to a targeted list of important publishers. Even though it is rather suspicious that no bad reviews can be found regarding this platform, this is not without reason, as they have always produced the promised results. So, if you are tired of looking for an efficient and successful advertising campaign for your crypto-related business or ICO, look no further than the services offered by Coinzilla.